Here at Four Seasons Florists we know that the flowers which you order from us are extremely important to you, which is why we are dedicated to ensuring that we are able to offer flowers which completely suit your tastes. 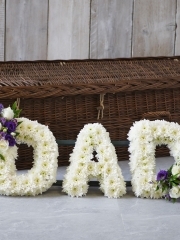 It is for this reason that the florists in Aberdeen have dedicated this particular page of our site to the different rose arrangements which we have on offer. Roses are extremely popular for many reasons, as they are a firm favourite with many of our clients and make a wonderful choice for a truly romantic gift. The fantastic selection of different rose arrangements in various colours means that the florists at Four Seasons are confident that all of our customers will be able to find something to suit their tastes from our collection. However, if you are having any difficulties in finding exactly what it is you’re looking for from our site, there is no need for concern. Florists Four Seasons are delighted to be able to offer all of our customers a free of charge bespoke flower arrangement service. 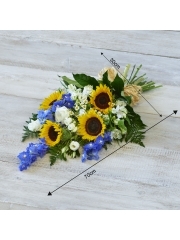 This means that you can order a truly unique and personalised flower bouquet from Flowers Aberdeen today. The florists at Four Seasons have over 40 years of experience in the floristry industry, meaning that the rose bouquet you order from us will have been crafted with a great deal of skill and expertise, leaving a show stopping result. Here at Four Seasons Flowers we use only the freshest flowers available for all of our arrangements, as order our stock from Holland on a regular basis for our customers to enjoy. This means that by ordering from the florists at Four Seasons you will be able to enjoy some of the most beautiful flowers in Europe. Choose Four Seasons Florists in Aberdeen for a fantastic rose arrangement today. Four Seasons Flowers take great pride in ensuring that we can offer all of our customers a comprehensive and satisfying customer experience. This is why we offer not only a great range of different flower arrangements, but also a variety of different flower delivery options for our customers to choose from. We believe that your gorgeous rose bouquet should be delivered to you at a time and date which is completely suitable for you. The Aberdeen flower delivery service operates reliably and efficiently six days a week throughout Aberdeen and the local area. Therefore, it is easy for our customers to request a day of the week which suits them for their delivery, from Monday to Saturday. It is also possible for our customers to choose a time slot in which they would like their delivery to take place, either morning or afternoon. Aberdeen flower delivery services also offer a same day delivery service for our customers to consult. 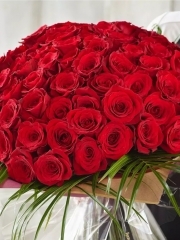 This means that your gorgeous rose arrangement will be delivered to you on the very same day as you’ve ordered it. To be eligible for this delivery service it is necessary that your order is placed with our team before 3pm on the day in question, to allow our florists at Four Seasons the time they need to craft your special rose arrangement with the care and attention that it deserves. 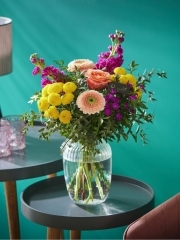 Flowers Four Seasons are also a member of the Interflora brand, meaning that we can offer our customers a range of flower delivery services further afield should you so require. 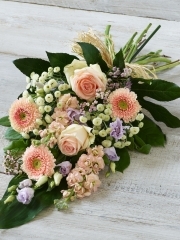 Flower delivery services all across the United Kingdom and even abroad are possible whilst still ordering with the local florists at Four Seasons. Look no further than our team today for a fabulous rose arrangement.